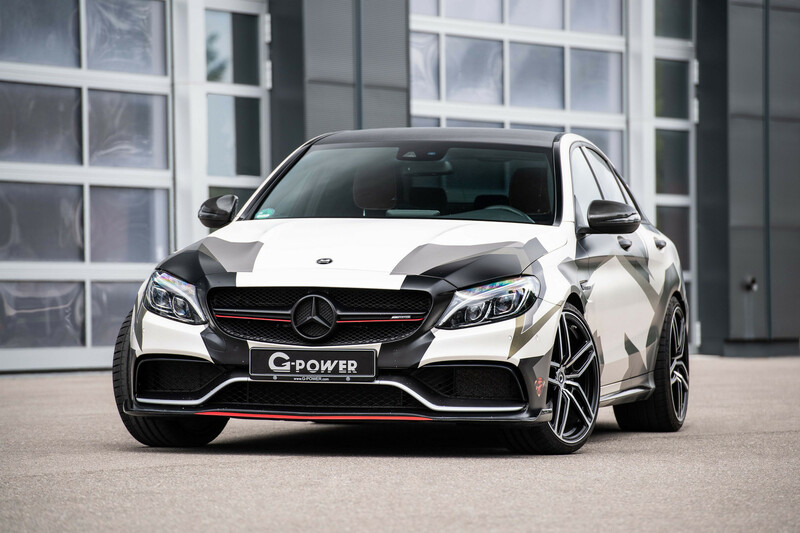 G-Power recently released a series of modifications for the Mercedes-AMG C 63. 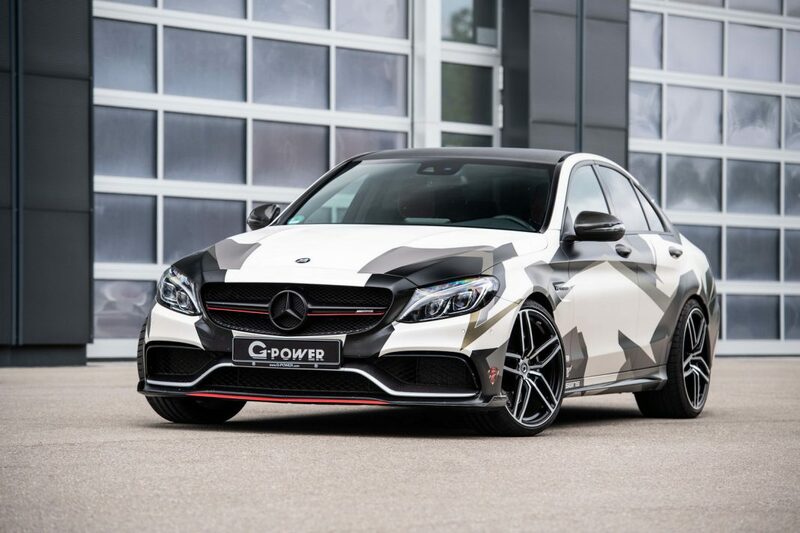 This is unusual as G-Power have traditionally been known for their BMW supercharger packages. 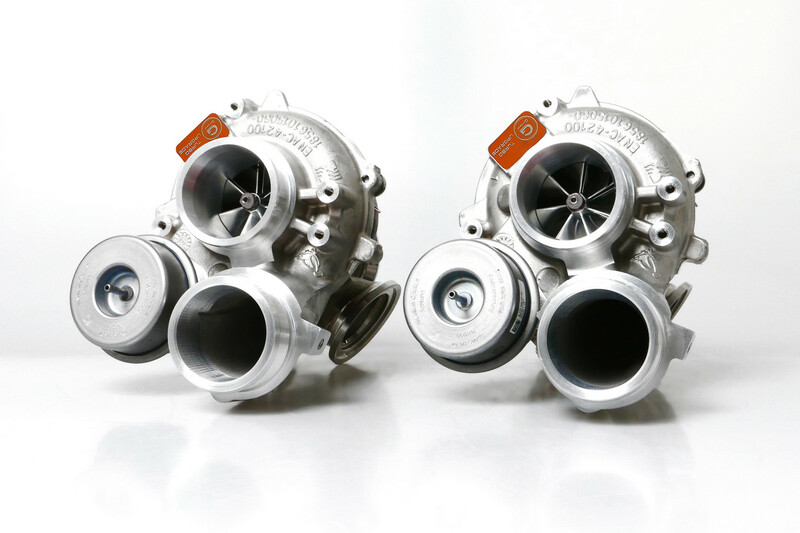 With the death of series-produced naturally aspirated engines and the prevalence of turbocharging, there is little demand for the humble supercharger. 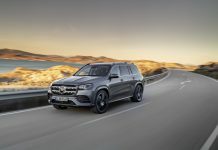 This is why G-Power seem to be moving away from BMW and into other German brands. 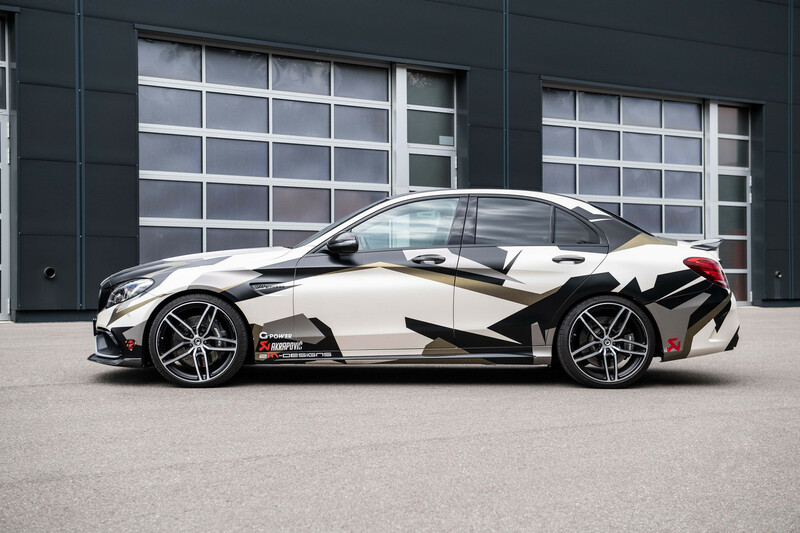 It’s take on the Mercedes-AMG C 63 is impressive. The 4.0 litre V8 has received some significant attention. 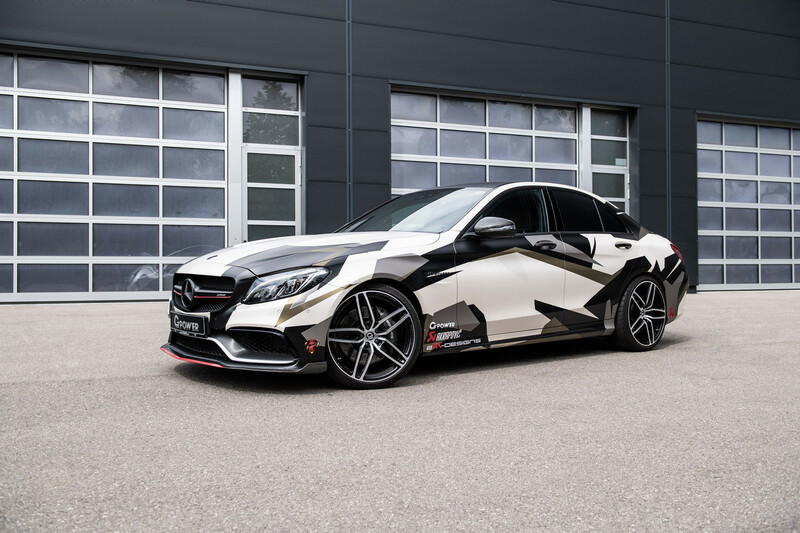 The C 63 left the factory with 510 hp, after some felting in Germany, the sedan gets a heady 800 hp. 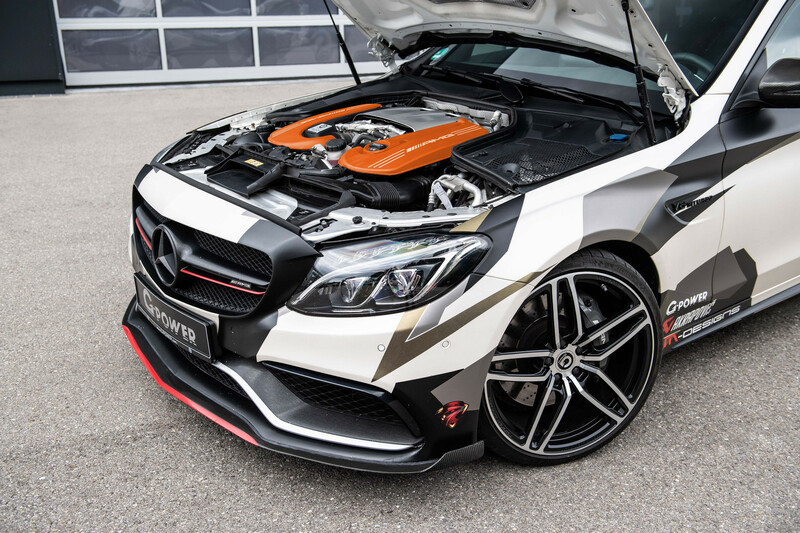 The power is released through the combination of an ECU tune and a new set of turbochargers. The later come optimised with a larger CNC-machined compressor and turbine wheels, an optimised compressor housing and an enlarged intake area. G-Power have also fitted lighter pistons, made changes to the manifold and a new high performance fuel pump. A new system and replacement down pipes complete the package together with a new exhaust system. 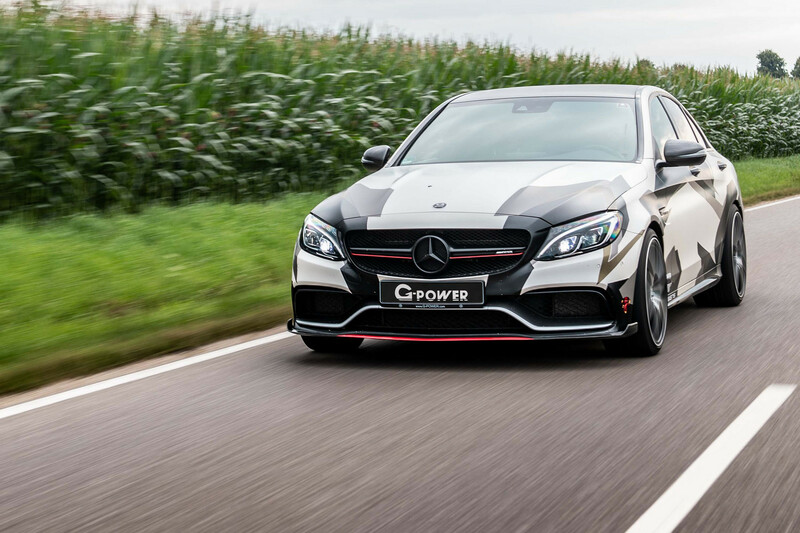 In order to handle the impressive performance increases, G-Power have reinforced the C 63’s standard transmission. Aside from the distinctive wrap, G-Power engineers have also added a set of its characteristic Hurricane RR wheels. The 20-inch forged rims are shod with 255/30 ZR20 tyres at the front and 285/30 ZR20 tyres at the rear. 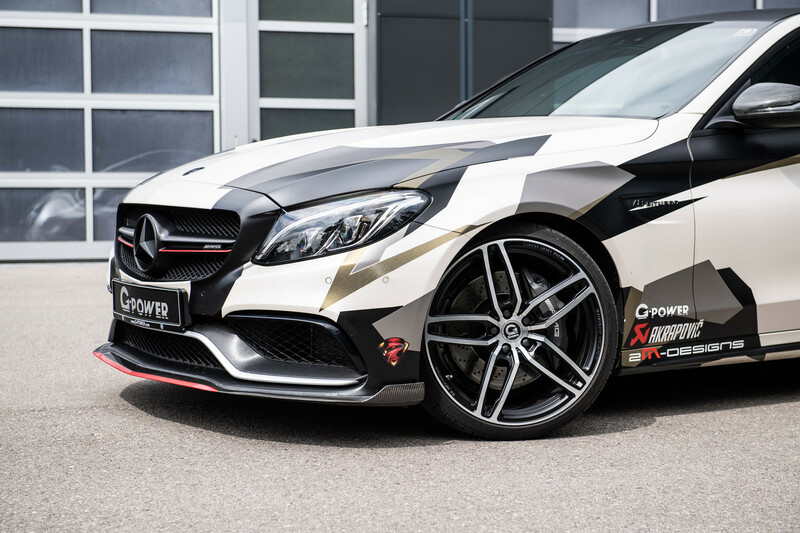 With all of the modifications, the G-Power Mercedes-AMG C 63 is capable of a 100 km/h sprint in just 3.4 seconds with a top speed in excess of 330 km/h with the limiter removed.